Premature birth is the leading cause of death in children under the age of five worldwide. Babies born too early may have more health issues than babies born on time, and may face long-term health problems that affect the brain, the lungs, hearing or vision. Today is World Prematurity Day, one day of the year when mass efforts are focused on raising awareness of this serious health crisis. According to the March of Dimes, in 2016, the nation’s preterm birth rate worsened for the first time in eight years. The current U.S. preterm birth rate is 9.6 percent – that’s a “c” grade amidst widening differences in prematurity rates across races and ethnicities. This year, alone, Fred’s Footsteps supported 14 families whose babies were born too soon. Baby Max is just one example. He was born way too early – at just 24 weeks gestation. 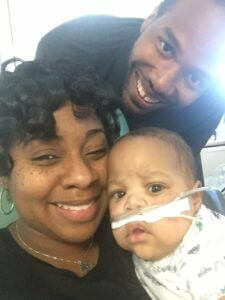 Since his birth in February, Max has been in the hospital a staggering 223 days. After going through their unpaid FMLA time, Max’s mom (a social worker) and dad (an accountant) had to return to work to keep their family afloat. They spent their non-working hours commuting back and forth to be by Max’s bedside at the hospital. Max finally got to go home earlier this fall, but the relief was short-lived. 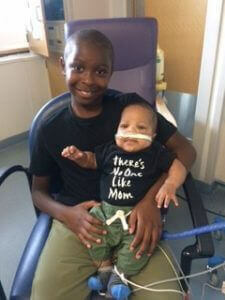 After just a few weeks, Max needed to return to CHOP for another surgery related to his extreme prematurity. He is home again now – hopefully for good – but his family knows his intensive medical needs will be ongoing. They are doing well at home, and his mom has been able to take another medical leave until January as they settle into their “new normal”. They have 16 hours of nursing coverage approved, but getting all of these shifts filled and a routine established is not an easy, or quick, process. They are thrilled, but exhausted and overwhelmed. Fred’s Footsteps is helping Max’s family bridge the gap from some of the hardship of their lost wages over this past year. 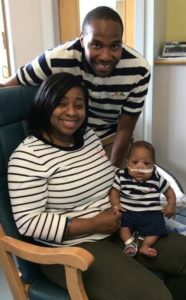 Staying on their feet with their mortgage payments will give Max’s loving parents the breathing room that they need to focus on caring for their sweet baby at home without additional financial worry. To help a family like Max’s, click here. 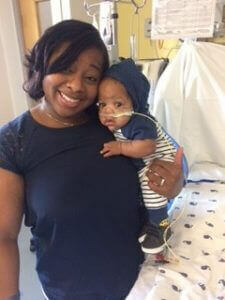 For more information on premature birth in the United States, we encourage you to visit the March of Dimes website.